As regular readers of the blog will know, I spend a lot of time looking through Civil War Widow’s & Dependent’s Pension Files. Many of these files contain original letters written home by soldiers during the war. Having spent a number of months compiling a database of Irish-American letters from men in New York regiments, I am now in the process of transcribing them with a view to future publication. Each of the men whose letters I transcribe have one thing in common- all died as a result of their service. I must admit, I find it extremely difficult to remain detached from the stories that leap from these letters. These men often poured their hopes, their dreams and their fears into them; reading each one in the certain knowledge that their life was extinguished during the conflict is an emotionally charged experience. 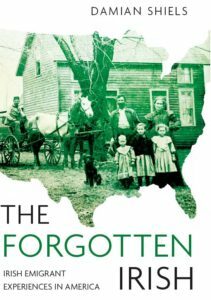 It has certainly increased my determination to see that they and their families- Ireland’s forgotten emigrants- are finally remembered at home. This weekend I have transcribed three letters relating to Irish-American Private James Sharkey of the 21st New York Cavalry, all of which were written home to his mother in September 1863. Seldom has the character of a man emerged so powerfully from the page; hard-working, jovial, fun, determined, loving- and extremely young. I wanted to share some of his character with you, that he might be remembered. James Sharkey’s parents Martin and Margaret (née Gibbon) were married in Ireland on 14th December 1837 by Father Peter O’Connor. 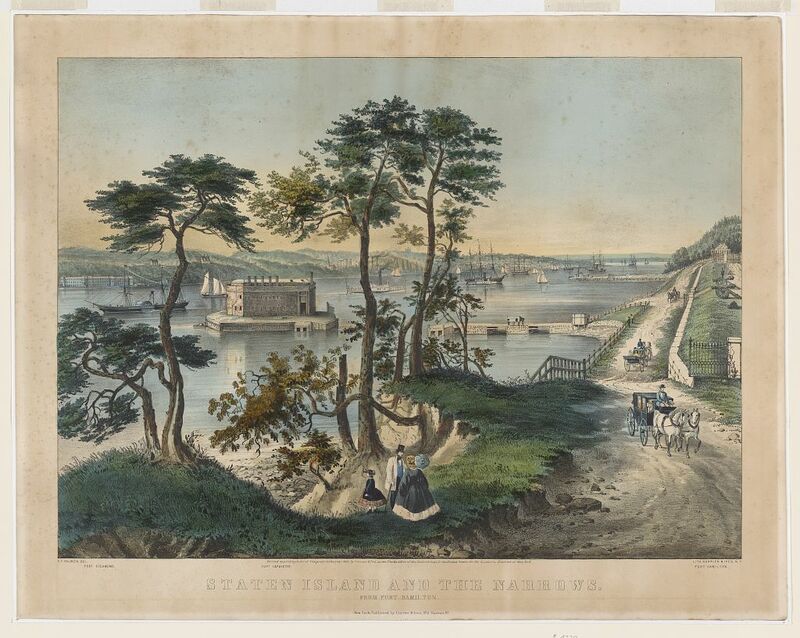 In the early 1840s they emigrated to Canada, where they settled and where their first two children were born. In a move common for Irish emigrants, after a few years they moved on to the United States, where they decided to live in Rochester, New York. It was in Rochester that their third child James was born, the first of a further six additions to arrive. James Sharkey was probably seventeen years-old when he enlisted in Rochester, New York on 11th August 1863. He was mustered as a private in Company C of the 21st New York Cavalry on 28th August 1863. That September he sent at least three letters home to let his mother know how he was faring in the army. When he joined up, James was still learning how to write and clearly intended to practice as much as possible while in the military. He proudly proclaimed to his mother that ‘I can spell prety good now and I studing to read every day’. A number of themes are apparent across James’s letters. He quickly grew fond of the military life, and thought it was good for him. Writing from Camp Sprague, Staten Island on 4th September, a week after he mustered, James told his mother ‘we are having a goodtime here and we are enjoying ourselves fine we have plenty to eat and drink and nothing to do but to drill once a day and parade once a day and that does not amount to over one hours work a day my health is good and I am getting fat as a bear.’ The next couple of weeks didn’t change things, as on 18th September he was ‘engoing [sic.] myself we get plenty to eat I get as fat as a dog’. It wasn’t all plain sailing, though. On the 20th he admitted that ‘we have not hat it very hard yet’ but that ‘once or twice we did not get anough to eat wich I did not like…’. It is my painful duty to inform you that your son James Sharkey of Co C 21 NY Vol Cavy died on Saturday Evening Oct 24th at the General Hospital of this Camp of Malignant Typhoid fever after an illness of about eight days. I can assure you that in all the circumstances attending his illness he showed a remarkable patience and in all ways displayed a desire to give but little trouble to those around him. As a soldier, though so young, he was remarkable for his willing and cheerful attendance to duty, and I cannot but sympathise deeply with you in your loss of so good a son. His death surprised us all. I had no idea that he was so near his end, and had charged the Surgeon on friday to notify me in case he should become dangerous- be promised to do so and seemed much surprised himself at the rapid progress made by the disease, when it was too late to arrest its progress. The men of Company C have had the body embalmed and sent home for burial, thinking it may be a poor comfort to you his mother to have his body resting near your own- It is all the sympathy they can show you in your sorrow, but it is honest and earnest. James had not an enemy in the company and altho’ he has not been permitted to yield up his life on the field of honor yet the sacrifice is none the less glorious- His lifes strength has been yielded up in the cause of Humanity, Liberty and Godliness and his reward is reached. Let his memory be kept ever green as one of the patriot martyrs of the day. Which you can get by applying thro the Sanitary Commission, without charge- let me advise you to apply thro the agent of that society instead of going to Lawyer agents. His clothing & c are here they are not worth sending home. Should there be anything amongst his effects worth sending to you it will be forwarded by Express. Thanks Joe I appreciate that!